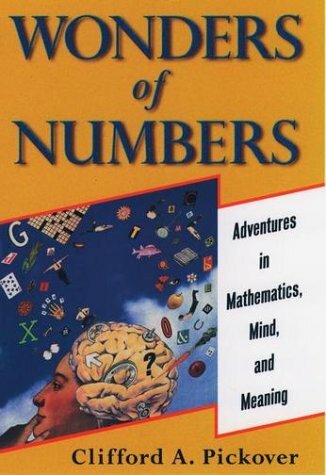 problems, Wonders of Numbers also includes fascinating "math gossip." How would we use numbers to communicate with aliens? Check out Chapter 30. Did you know that there is a Numerical Obsessive-Compulsive Disorder? You'll find it in Chapter 45. From the beautiful formula of India's most famous mathematician to the Leviathan number so big it makes a trillion look small, Dr. Googol's witty and straightforward approach to numbers will entice students, educators, and scientists alike to pick up a pencil and work a problem. Why Don't We Use Roman Numerals Anymore? Why Was the First Woman Mathematician Murdered? What If We Receive Messages from the Stars? What Is Godel's Mathematical Proof of the Existence of God? What Is Numerical Obsessive-Compulsive Disorder? Who Is the Number King? What 1 Question Would You Add?